Want a discount? 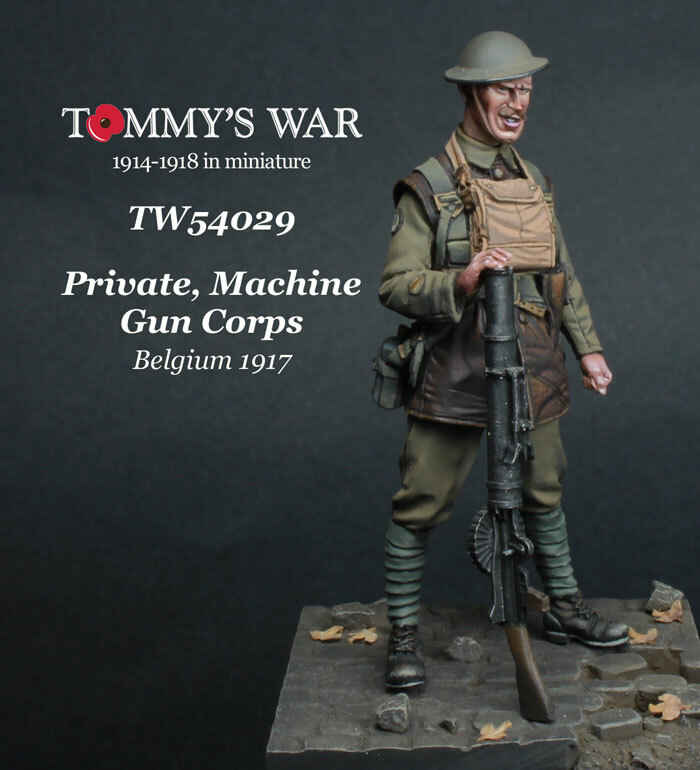 Become a member by purchasing Tommy's War Collector Club Membership 2019 – United-kingdom, , Tommy's War Collector Club Membership 2019 – European-union-outside-uk, or Tommy's War Collector Club Membership 2019 – Rest-of-the-world, , or log in if you are a member. 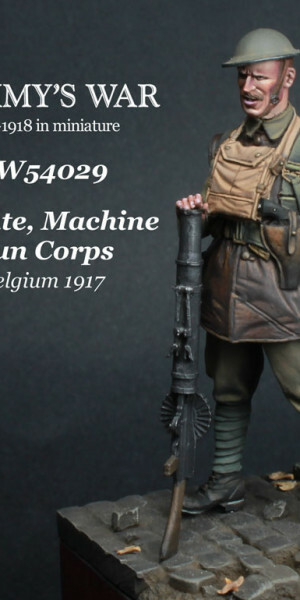 In 1915 it was proposed that a specialist regiment of machine gunners be formed, this was the Machine Gun Corps (MGC). 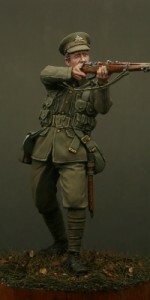 This figure shows a Private of the MGC in late 1916, he is wearing a leather coat, small box respirator and is holding a Lewis gun. 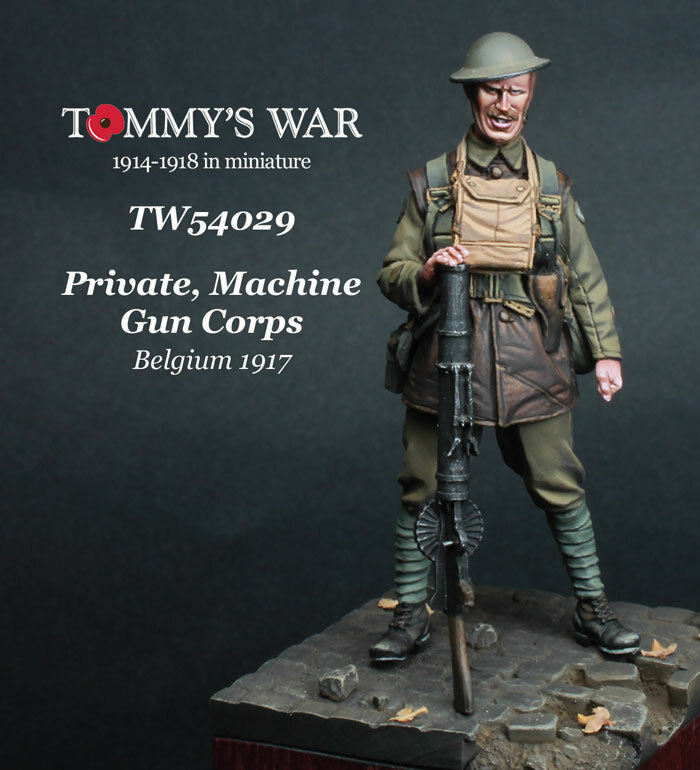 Designed to be displayed on its own, the figure also works with Tommy’s War figure TW54030 (Sergeant, Motor Machine Gun Corps) and the Clyno Vickers motorcycle machine gun combination kit also in our range (TW54E11). 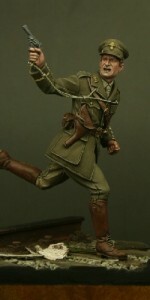 The figure has been sculpted by Nino Pizzichemi and the box artwork is by Juan Manuel Jurado. 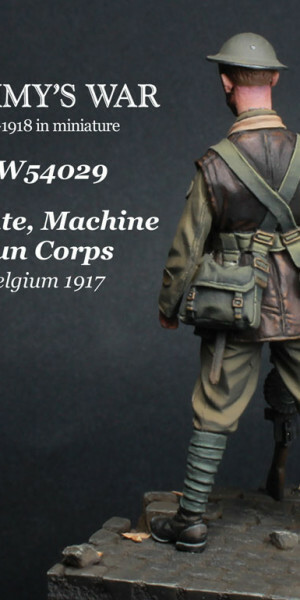 The figure is advertised at 54mm in height, which is 1/32 scale . 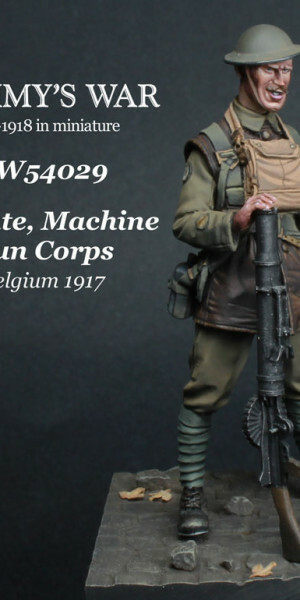 However, the figures measure approximately 56-58mm foot to eye, so although marked as 54mm they may not be compatible with other figure or vehicle ranges. 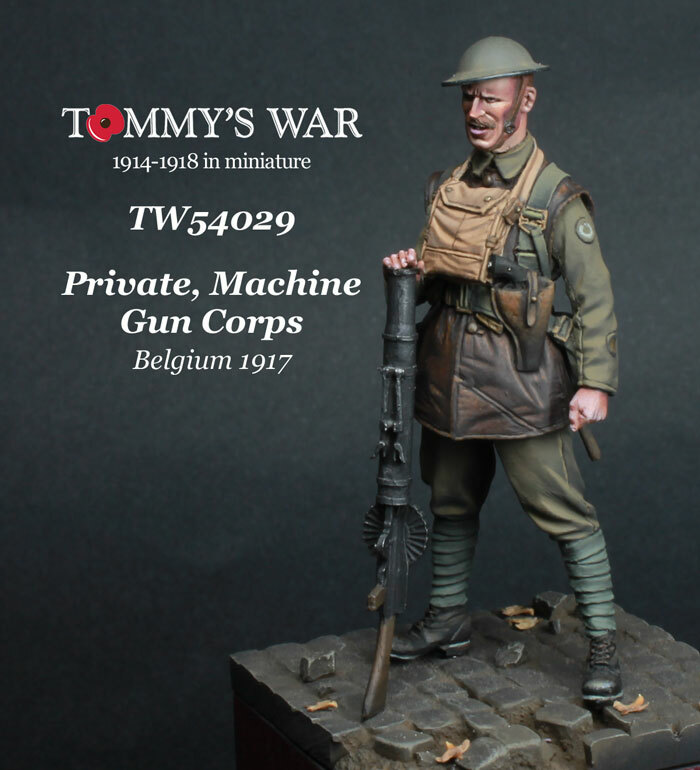 If you have any questions regarding scale then please don’t hesitate to email darren@tommyswar.com. 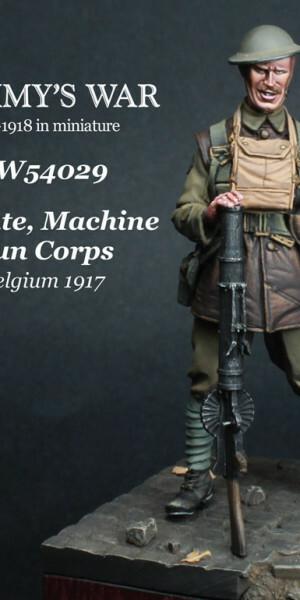 The figure is cast in polyurethane resin and is supplied unpainted, the kit requires cleaning and assembly and is not suitable for children under the age of 12. 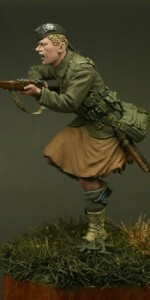 Please always take care when working with resin. Work in a well ventilated room or wear a face mask as protection from resin dust. 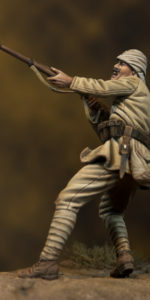 The scenic base shown on the box art is NOT included with the figure. 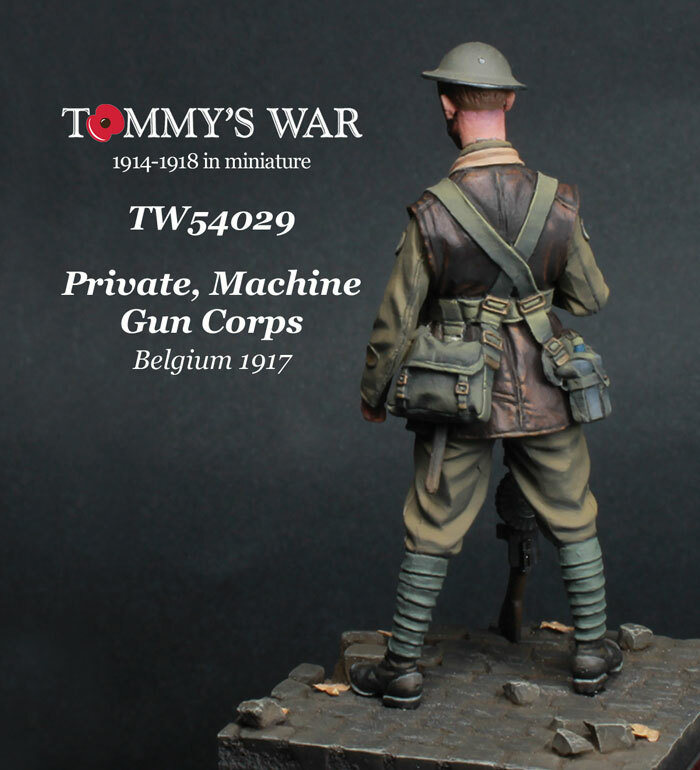 Signup to receive news of new miniature releases and upcoming events.